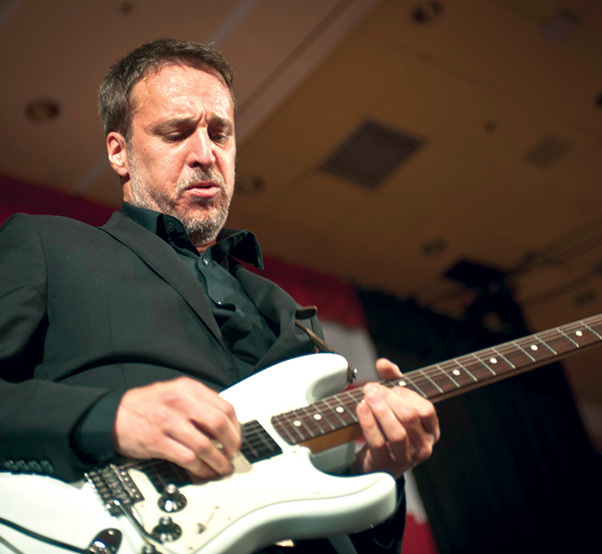 A guitar player in Matt Goss’ seven-piece band performs during the 2015 Las Vegas Air Force Ball at the South Point Hotel and Casino in Las Vegas, Sept. 26. The guitar player played a solo during a cover of the Eagles song “Hotel California”. 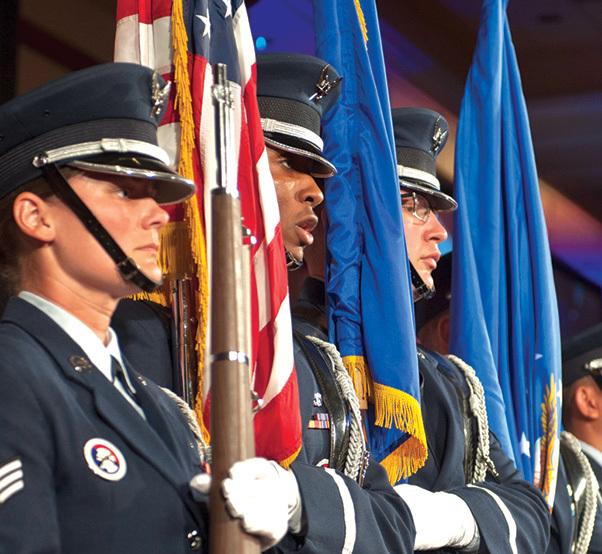 Members of the Nellis Air Force Base Honor Guard prepare to retire the colors during the 2015 Las Vegas Air Force Ball at the South Point Hotel and Casino in Las Vegas, Sept. 26. In addition to presenting and retiring the colors, the Honor Guardsmen performed a Missing Man Table and Honors ceremony to pay respects to members of the U.S. armed forces who are/were prisoners of war or missing in action. 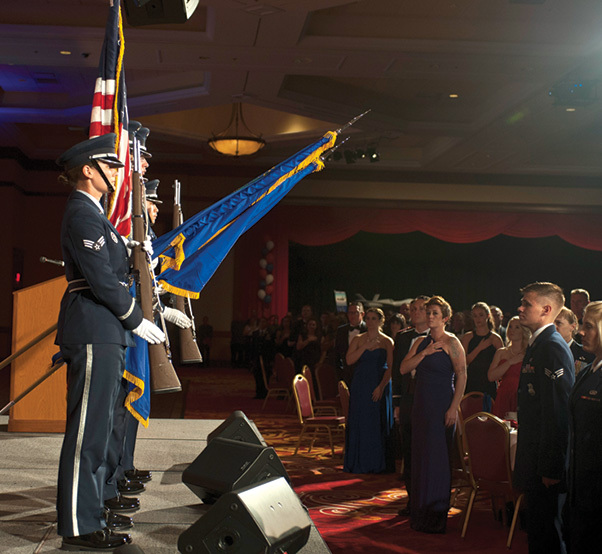 Members of the Nellis Air Force Base Honor Guard present the colors during the 2015 Las Vegas Air Force Ball at the South Point Hotel and Casino in Las Vegas, Sept. 26. The theme for this year’s event was, “Embracing our Legacy, Forging the Future” and recognized Air Force Airmen and their families serving worldwide. 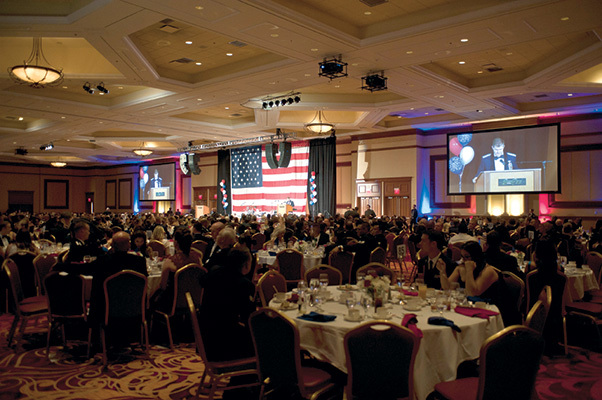 Maj. Gen. Thomas Deale, Air Combat Command director of operations, speaks to attendees of the 2015 Las Vegas Air Force Ball at the South Point Hotel and Casino in Las Vegas, Sept. 26. As ACC’s director of operations, Deale is responsible for all matters pertaining to the direct operational planning, training, command and controlling functions to deploy and employ regular and Reserve component combat air forces, including more than 1,900 aircraft, in support of U.S. security objectives. 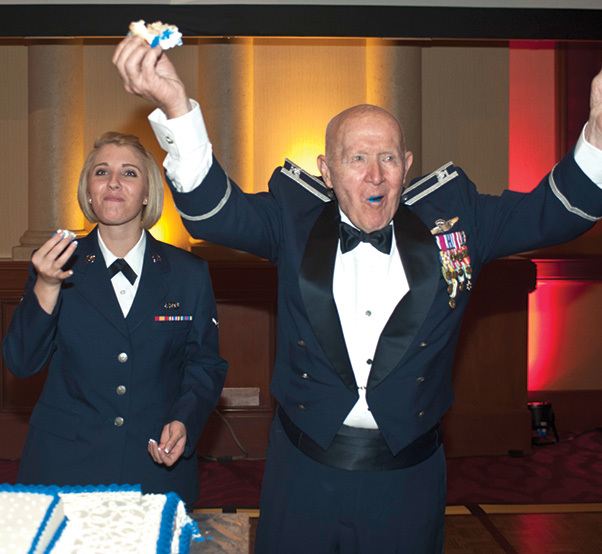 Retired Col. George Peterson and Airman Brenna Albright celebrate after cutting and eating the 2015 Las Vegas Air Force Ball cake during the ceremony at the South Point Hotel and Casino in Las Vegas, Sept. 26, 2015. It is tradition for the oldest and youngest Airmen in attendance to make the cake’s ceremonial first cut. and corporate supporters, honored guests, and military leadership. 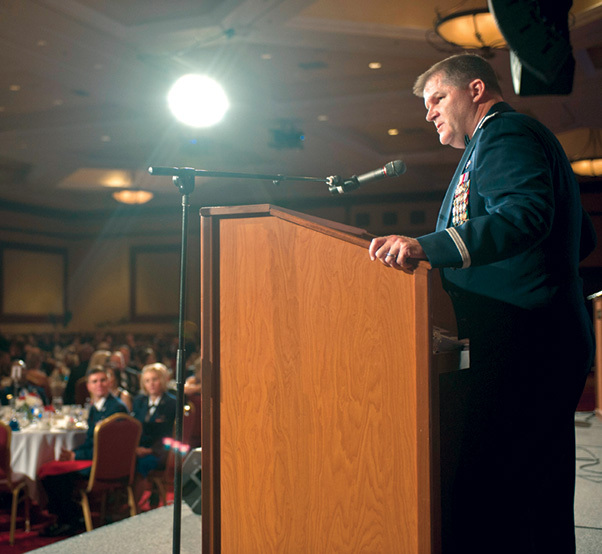 Maj. Gen. Thomas Deale, Air Combat Command director of operations, speaks at the 2015 Las Vegas Air Force Ball at the South Point Hotel and Casino in Las Vegas, Sept. 26. Deale was the guest speaker of the event, which celebrated the 68th anniversary of the United States Air Force. 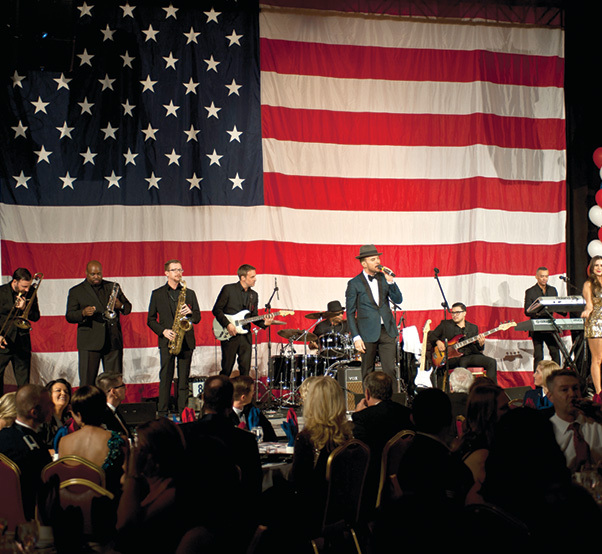 Matt Goss and his seven-piece band perform during the 2015 Las Vegas Air Force Ball at the South Point Hotel and Casino in Las Vegas, Sept. 26. 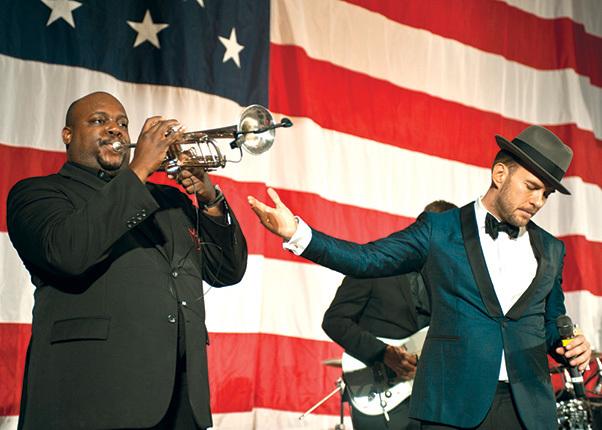 Goss performed a 30-minute live set during the event, which celebrated the 68th anniversary of the United States Air Force. 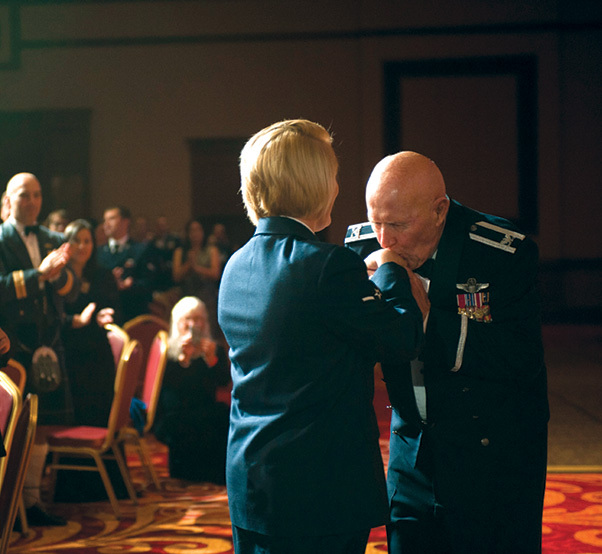 Retired Col. George Peterson greets Airman Brenna Albright during the 2015 Las Vegas Air Force Ball at the South Point Hotel and Casino in Las Vegas, Sept. 26. Peterson and Albright were the oldest and youngest past or present uniformed Airman in attendance.